On the road. Heading South. First stop, 300 miles down the road to Sussex, Wisconsin, to see the grandkids and spend the night. 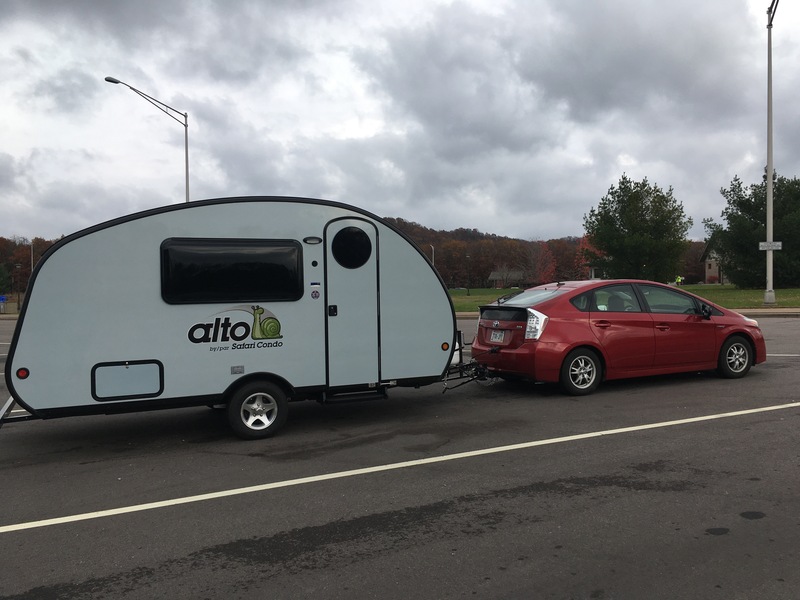 The trailer, loaded with everything we need for the winter, pulled great and we got 23 mpg, with a slight tailwind part of the way. It was trick or treating in the hood. 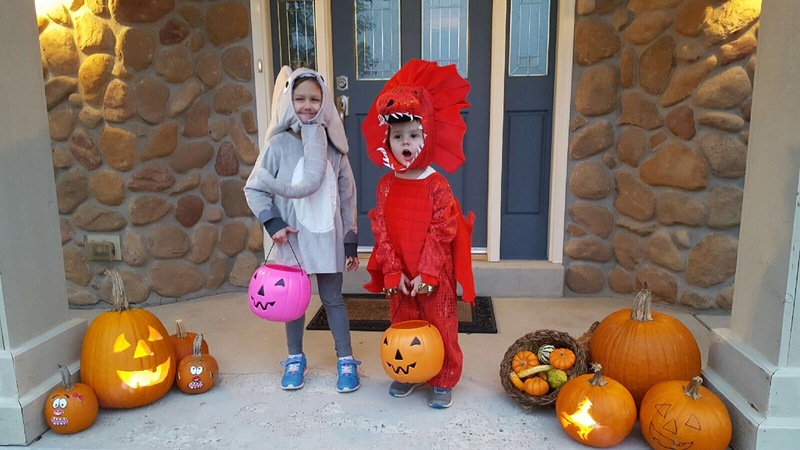 A cute red dragon and an elephant trolled for treats. We stayed behind to welcome the neighborhood goblins. Would you leave this man alone with the Halloween candy? 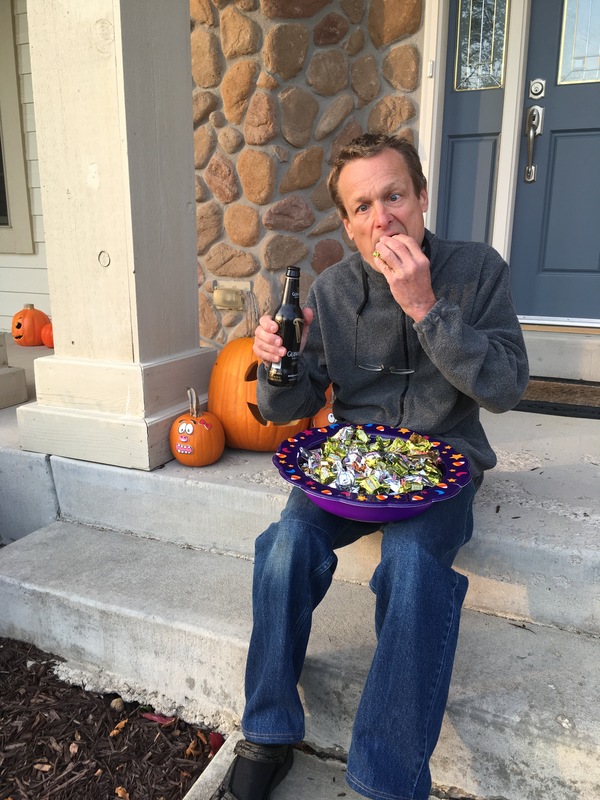 Love that picture – beer and candy, Oh Bob! We miss you two already.